Created and illustrated by Joe Lee, a former professional clown with Ringling Brothers & Barnum and Bailey Circus, this gorgeous 78 card Tarot deck with it’s bright colors and vintage circus styled posters is guaranteed to please almost every circus aficionado and tarot reader alike. After leaving the circus life, Joe moved to New York City where he studied and later taught art classes, now living in Indiana, he works as an illustrator. The cards measure nearly 3 1/2″ x 4 1/2″ and are accentuated by a red line frame, with a colorful mirror image clown on the back that allows the reader to use reversals if so chosen. I had no problems shuffling and I have always loved U.S. Games Systems card stock because I am always able to mix the cards well without damage to edges or card stock itself. 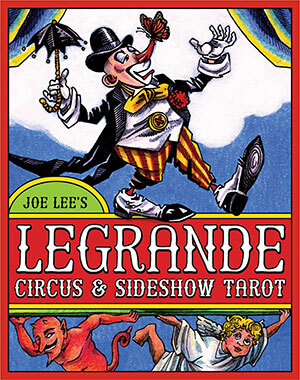 Following the familiar Tarot Archetypes found in most traditional style decks, Joe Lee has quite successfully captured the unique flavor of circus sights and sounds without sacrificing the essence of conventional interpretations. The Major Arcana reflect the popular parade of archetypal characters with the exception of The Popess, replacing the accustomed High Priestess and the Pope filling in for the more commonly named Heirophant. Strength is enumerated 8 and Justice sports the familiar numeral 11. The Minor Arcana, a depiction of day to day life, reflects the quirky and unparalleled circus lifestyle with it’s high wire performers, juggling acts and cast of characters unique to this big top venue. Each suit corresponds to an aspect of this colorful lifestyle. Wands, conjuring the backbreaking work of man and animal to raise the tent, Cups,the world of performance engaging it’s onlookers, Coins depicting the business of the show with its managers keeping the troupe on the road and the “butcher” hawking his “floss” and popcorn in the stands and the Swords, embedded deep in the bizarre and sometimes frightening heart of the sideshow like the sword swallower and knife thrower garnering wondrous gasps from their riveted audience. The 60 page LWB (little white book) is comprised of both upright and reversed interpretations for each of it’s 78 cards, and includes a paragraph or two, explaining to it’s readers, the circus life and it’s characters. As an added bonus, the LWB provides a captivating spread named after this decks title, developed by Jody Boginski and my favorite lady, Lynn Araujo…kudos ladies for a truly awesome spread! 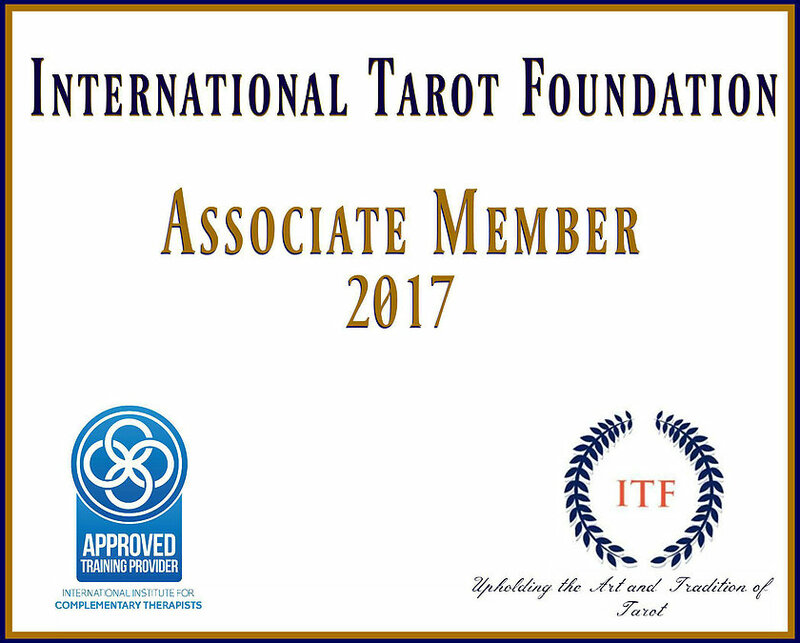 This is an absolutely delightful Tarot deck, one that even the newest readers can pick up and read straight away. I just can’t express how impressed I was as soon as I opened the box and began working with such a colorful cast of characters! I would urge readers both young and old, experienced or not, to add this to their collections! ← The Ripper Who…. Wasn’t? Thanks so much Elizabeth for this TIP TOP review!